Brides love getting ready at Pelican Hill Resort before they walk down the aisle. But they especially love that they get their own private suite. These bridal suites at the Pelican Hill are spacious and luxurious. Enough room for all your bridesmaids and the mother of the bride. There is even room for extended family. Starting the morning off by getting your hair and makeup done right in the bridal suite. There is no need to go any where else for some great portraits of the bride before the ceremony. 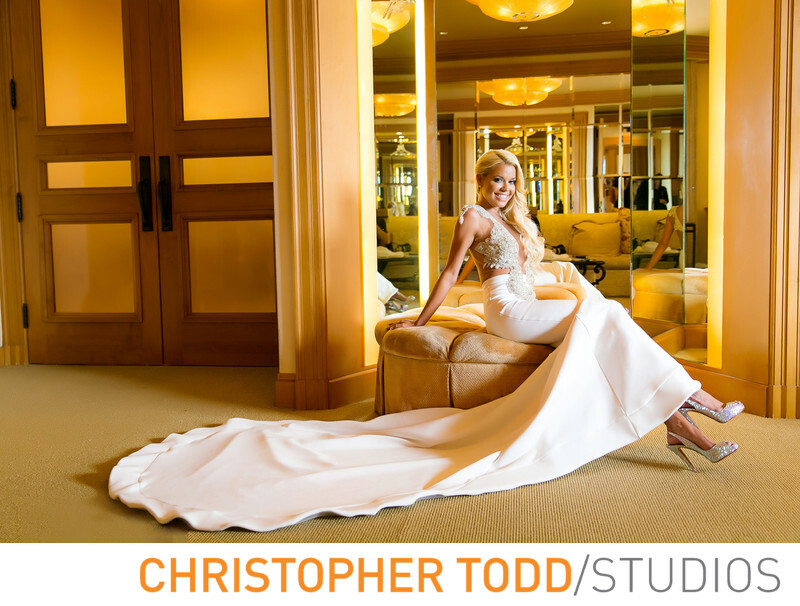 This bride chose a custom gown designed by Ryan and Walter. Stunning details can be seen on the top of the dress. 1/80; f/2.8; ISO 400; 33.0 mm.